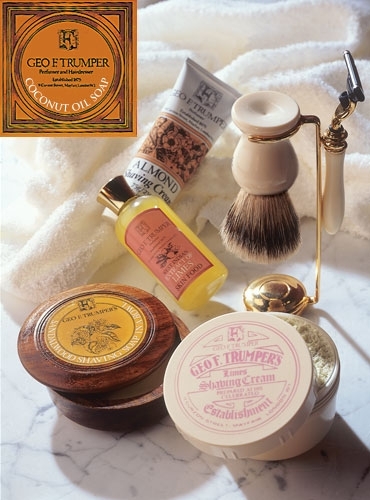 Select your hard soap or cream not only by scent, but also by properties. Sandalwood and Limes are for normal skin, while Violet and Rose are for more sensitive skin, and Almond and Coconut oil are for dry skin. Shaving cream in a tube (SHC05). Shaving cream in a tub (SHC04). Shaving soap in a bowl (SHS21).